Aesthetic Movement collectibles might seem odd or bizarre to some. Others love the "out of the box" thinking of the artists of the period. When I first began in the Antique Industry and was introduced to Aesthetic Movement collectibles, I was not one of the biggest fans. In fact, most of the pieces were hideous in my opinion. I was a beginner and really did not appreciate the odd and non-traditional look of the pieces. 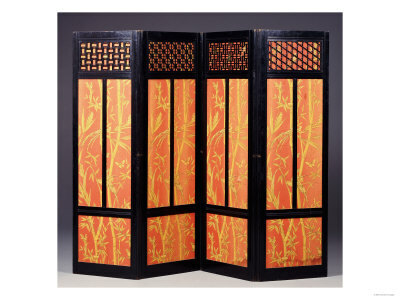 As I grew in my knowledge and encountered more pieces from the period known as the Aesthetic Movement, I did begin to appreciate the pieces more and actually began to love some of them. The period of time that these antique collectibles fall in is roughly between 1868 and 1900. The movement seemed to begin with the British artists. It seems they just got tired of doing their work in the same old traditional way. They did not feel that their art had to tell some sort of story. They had no desire to create objects that had a moral to it or some sort of religious inspiration. These artists of the aesthetic movement wanted to express themselves in a new way. In essence, they wanted to create art just for the sake of art. They had no qualms about making pieces that were functional, they just didn't want them to look like everything else on the market. They went for slightly off-center motifs in a plate. Some went for grotesque. While others combined motifs that one might not think worked well together. Today many people love the antiques and collectibles that came from this late Victorian period of history. During the aesthetic movement there were a few artists that paved the way and became pioneers in the new products that were being created. Christoper Dresser became one of the stars and is still highly admired today. Many people look for pieces of ceramics that he designed. He is known for his futuristic designs that were sometimes pretty wild and bizarre. It was one of Dresser's pieces that I first encountered as a new Antique Specialist. I could not find a picture of the vase that he made for this article. It was really different. Designed for Ault Pottery the vase looks fairly normal until you look at what seem to be handles. A man's face with his tongue sticking out reaching for the top of the vase. It still is not one of my favorite pieces. Just a little too wild for my taste. 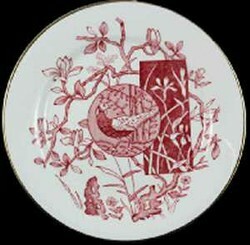 Mintons of Staffordshire, England was a very dominant player in the Aesthetic Movement. They created earthenware for the middle class, decorative items, tiles, majolica, and really fine porcelain. One of their designers was Christopher Dresser. Royal Worcester created some really interesting products during this late Victorian trend. They specialized in porcelain pieces. You can find new pieces made by Royal Worcester today as they are still in business. They are believed to be oldest remaining English pottery maker, still known for their fine porcelain. Doulton was the heavy hitter during the aesthetic movement for pottery. This was before they purchased the Royal Warrant and became Royal Doulton. Doulton hired artists of the movement from the local Lambeth School of Art to create pieces that are collected today. 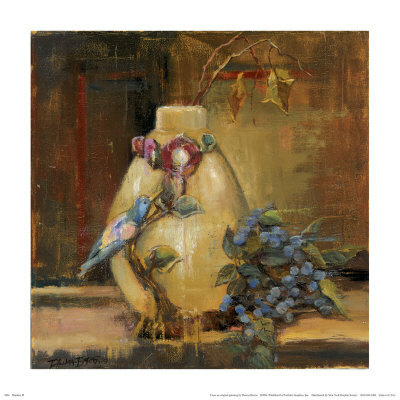 What do you think of the Aesthetic Movement Collectibles? I absolutely love the antiques from this time frame! I like some and dislike others. I will have to get back with you, I just now found out about them. They are not appealing to my taste at all. Very informative article. I love antiques of all kinds. My grandmother and aunts have pieces from this period. Brings back memories. Thanks! I love this period! Thank you for reminding me how much. Great Wizzle.